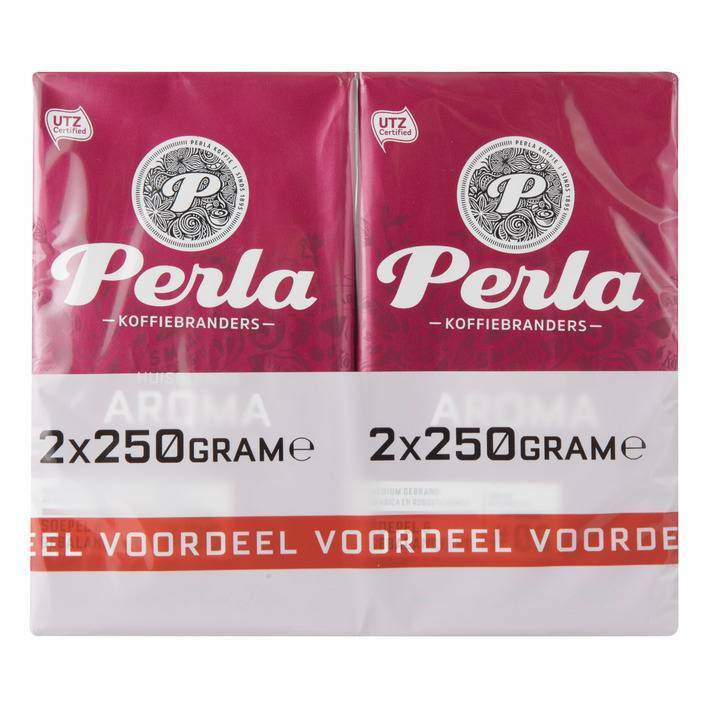 Perla mild coffee, 2 x 250 grams of finely ground coffee. The coffee is a classic combination of Robusta and Arabica beans, this coffee beans come from origin from Ethiopia, but are nowadays many grown in Brazil, Latin America, Africa, Madagascar and India. This coffee has a mild sweet taste, a delicious dessert coffee.